Calling all beer lovers! September 28, otherwise known as National Drink a Beer Day, is the perfect excuse to go out and grab a beer to celebrate this holiday. Before the seemingly never-ending winter weather hits Chicago, most of us want to kick back with a beer on the last few warm days. 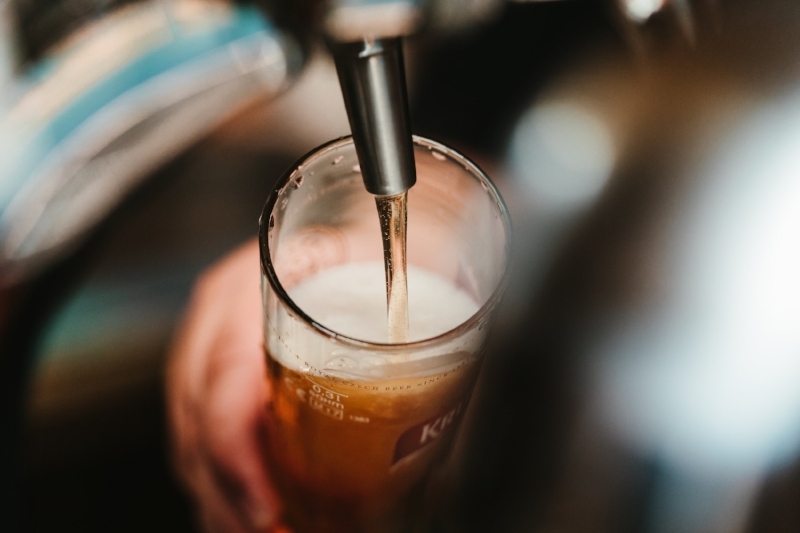 So, if you’re looking for a place to quench your thirst on National Drink a Beer Day, check out some of these city hot spots! Summer, or as some of us like to call it, “rooftop season,” is dwindling away -- but not at Boleo. Located on the rooftop of The Kimpton Gray Hotel, this stylish South American restaurant & bar is open year-round. Its retractable glass roof means that rooftop season never has to end, despite Chicago’s four seasons. Not only does Boleo offer a variety of craft beers from Hopewell Brewing, Revolution Brewing, and more, but it also offers unbeatable views of the city. For those who prefer to stay grounded and enjoy the warm weather from a patio rather than a rooftop, Fisk & Co. is the place to go on National Drink a Beer Day. Fisk & Co. combines two staples of summer dining: fresh seafood and cold beer. During its “Aw Shucks” happy hour on Monday-Friday from 4:00 PM-6:00 PM, Fisk & Co. serves a ½ dozen oysters and beer from their rotating selection for only $10. With the unpredictable Chicago temps, sometimes we need to escape the sweltering heat and cool off with a beer in some AC. Latinicity is a great place to enjoy some of the hotter hours of the day, otherwise known as happy hour. Latnicity’s happy hour is from Monday-Saturday from 4:00 PM-6:00 PM, with $4 cerveza specials that are sure to satisfy your taste for beer on National Drink a Beer Day while enjoying the food hall’s trendy atmosphere.